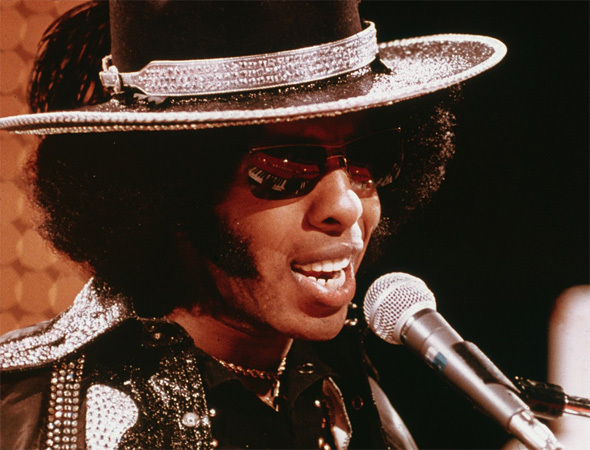 Sly Stone pled "not guilty" in a Los Angeles courtroom Wednesday (June 16) to a charge of cocaine possession following a traffic stop there April 1. Sly was a passenger in a camper when cocaine rocks were found in his clothing but maintains it was not his. Sly's hospitalization in Los Angeles with heart problems June 10 had forced him to miss his original court appearance. He will next appear in court for a pretrial conference July 19. His first album in 30 years will be released August 16. 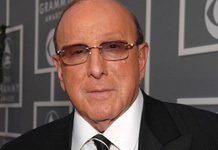 Meanwhile, Clive Davis, one-time head of Columbia and Arista Records, donated $5 million Tuesday (May 24) for the Clive Davis Institute of Recorded Music at the Tisch School of the Arts at New York University. Clive first endowed the school with an equal amount in 2003. He graduated from NYU in 1953. 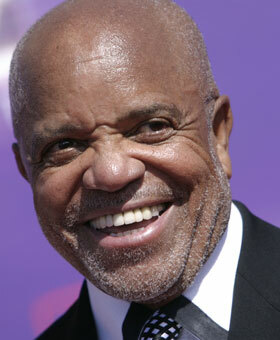 Motown founder Berry Gordy, Jr. is developing a stage musical on the history of the label. The 81 year-old is said to have invested $100 million into the project, which he believes will set the record straight. Overall, Beyonce's new album can be construed as both cool and low-key, yet its subdued tone suggests that Beyonce is turning an intimate new leaf. Beyonce sounds as natural as ever, but composing such a mid-tempo track that feel's thrilling at first, yet not fulfilling the hype at the beginning tends to have a sluggish feel. Beyonce is still considered as Pop Music’s biggest paradox. No artist gives us so much while leaving us feeling so unfulfilled. Many recent claims have been made by the fan base of Lady Gaga’s camp “Happy” that she has stolen the Diva crown, but unlike Lady Gaga, who tends to take big anthems and make them even bigger through her dramatics and persona, Beyonce is focused primarily on the smaller, deeply personal romantic relationships that mark our lives. Remember that those are the songs that first unite us and then later blow our hearts apart. I must reiterate that although #4 is good material it still lacks the earlier pizzazz. Much hope goes into that one day; history will look back at Beyonce’s “4,” view it in much more favorable light than it is receiving right now. 10.01.11-MusicWire Magazine - Sly and the Family Stone are an American Rock, Funk, and Soul Band from San Francisco, California. Active from 1966 to 1983, the band was pivotal in the development of Soul, Funk, and Psychedelic Music. Headed by singer, songwriter, record producer, and multi-instrumentalist Sly Stone, and containing several of his family members and friends, the band was the first major American rock band to have an "integrated, multi-gender" lineup. Brothers Sly Stone and singer/guitarist Freddie Stone combined their bands (Sly & the Stoners and Freddie & the Stone Souls) in 1967. Sly and Freddie Stone, trumpeter Cynthia Robinson, drummer Gregg Errico, saxophonist Jerry Martini, and bassist Larry Graham completed the original lineup; Sly and Freddie's sister, singer/keyboardist Rose Stone, joined within a year. This collective recorded five Billboard Hot 100 hits which reached the top 10, and four ground-breaking albums, which greatly influenced the sound of American pop music, soul, R&B, funk, and hip hop music.On August 16, 2011, the album I'm Back! Family & Friends was released. The album features Stone's greatest hits. 10.05.11-MusicWire Magazine - The Temptations are an American vocal group that achieved fame as one of the most successful acts to record for Motown Records. The group's repertoire has included, at various times during its five-decade career, R&B, Doo-Wop, Funk, Disco, Soul, and Adult Contemporary Music. Formed in Detroit, Michigan, in 1960 as The Elgins (not to be confused with another Motown group with the same name), the Temptations have always featured at least five male vocalists/dancers. Known for its recognizable choreography, distinct harmonies, and flashy onstage suits, the Temptations have been said to be as influential to soul as The Beatles are to pop and rock. Having sold tens of millions of albums, the Temptations are one of the most successful groups in music history. As of 2010[update], the Temptations continue to perform and record for Universal Records with its one living original member, Otis Williams, still in its lineup. In 2004, Rolling Stone magazine ranked The Temptations #67 on their list of the 100 Greatest Artists of All Time. They were inducted into Rock-N-Roll Hall of Fame in 1989. 10.02.11-MusicWire Magazine - Norah Jones is an American Singer-Songwriter and ocasionally Actress. Jones has won nine Grammy Awards and was Billboard magazine's 60th-best-selling music artist of the 2000–2009 decade. 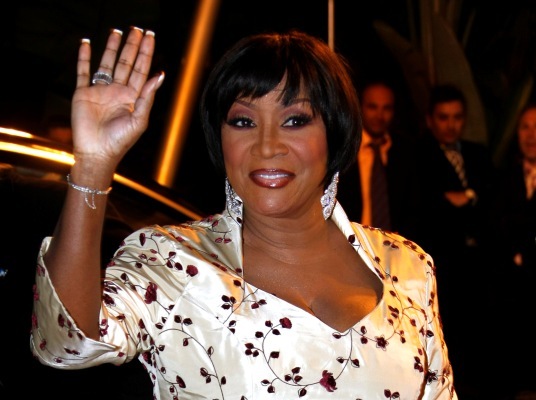 Throughout her career, Jones has won numerous awards and has sold over 37 million albums worldwide. Billboard magazine named her the top Jazz artist of the 2000–2009 decade, establishing herself as one of the best-selling artists of her time. 10.03.11-MusicWire Magazine - Dobie Gray is an African American singer and songwriter, whose musical career has spanned soul, country, pop and musical theater. His hit records included "The 'In' Crowd" in 1965, and "Drift Away", which was one of the biggest hits of 1973, sold over one million copies, and remains a staple of radio airplay. He recorded for several local labels under the names Leonard Ainsworth, Larry Curtis, and Larry Dennis, before Sonny Bono directed him towards the small independent Stripe Records. They suggested that he record under the name "Dobie Gray", an allusion to the then-popular sitcom The Many Loves of Dobie Gillis. Success came in 1963, when his seventh single "Look At Me", on the Cor-Dak label, recorded with bassist Carol Kaye, reached # 91 on the Billboard Hot 100. However, Gray's first album, Look!, failed to sell. Greater success came in early 1965 when his original recording of "The 'In' Crowd" reached # 13 on the chart. Written by Billy Page, arranged by his brother Gene, and produced by Fred Darian, Gray's record reached # 11 on the US R&B chart, and # 25 in the UK. The follow-up, "See You at the Go-Go", recorded with such top session musicians as Kaye, Hal Blaine and Larry Knechtel, also reached the Hot 100, and he issued an album, Dobie Gray Sings For 'In' Crowders That Go Go Go, which featured some self-penned songs. "Drift Away" became a hit again in 2003, when it was covered by Uncle Kracker on his No Stranger to Shame album. The recording was a duet between Kracker and Gray, who was also featured in the video. It ended in the nineteenth place in the Billboard Year-End Hot 100 singles of 2003. 10.02.11-MusicWire Magazine - The Chantels (not to be confused with the reggae group The Chantells) were the second African-American girl group to have nationwide success in the United States, preceded by The Bobbettes. The group was established in the early 1950s and attended St. Anthony of Padua school in The Bronx. The original five members consisted of Arlene Smith (lead), Sonia Goring, Rene Minus, Jackie Landry Jackson and Lois Harris. They derived their name from that of a rival school, St. Frances de Chantal. The Chantels by 1957, then in high school, had been a group for seven years. Unlike some black groups of their time, the quintet was under the influences of classical music and Latin hymns. The lead singer, Arlene Smith, had received classical training and performed at Carnegie Hall at age twelve. Smith provided the group with both lyrics and music. The girls were discovered by Richard Barrett, lead singer of The Valentines and by summer 1957 signed to End Records, owned by George Goldner. Their first single was "He's Gone" (Pop #71) in August 1957, written by Arlene Smith. Released in December 1957, The Chantels had a hit with their second single, "Maybe" (#15 Billboard Hot 100; #2 R & B chart) in January 1958. "Maybe" sold over one million copies, and was awarded a gold disc. Following releases were less successful but End did release an album originally titled We Are The Chantels. The original cover had a picture of the group. The album was soon withdrawn and repackaged with a picture of two white teenagers picking out a song; the title was shortend to The Chantels. The Chantels were inducted into The Vocal Group Hall of Fame in 2002. Despite continued appearances since then on Rock and Roll Hall of Fame ballots by 1950s doo-wop groups, the Chantels did not get enough votes to reach any subsequent ballot until September 2009, when it was revealed that they were one of twelve nominees to be inducted to the Hall in 2010. 10.02.11-MusicWire Magazine - Marvin Pentz Gay, Jr., better known by his stage name Marvin Gaye, was an American singer-songwriter and musician with a three-octave vocal range. Starting his career as a member of the doo-wop group, The Moonglows in the late 1950s, he then ventured into a solo career after the group disbanded in 1960, signing with Motown Records. He was crowned "The Prince of Motown" and "The Prince of Soul". He was posthumously inducted into the Rock and Roll Hall of Fame in 1987. American music magazine Rolling Stone ranked Gaye at number 6 on its list of the Greatest Singers of All Time. 10.05.11-MusicWire Magazine - The Crystals are an American vocal group based in New York, considered one of the defining acts of the girl group era of the first half of the 1960s. Their 1961–1964 chart hits, including "Uptown", "He's a Rebel", "Da Doo Ron Ron (When He Walked Me Home)" and "Then He Kissed Me", featured three successive female lead singers, and were all produced by Phil Spector. "He's a Rebel" is perhaps the Crystals' best-remembered song, and one of the most enduring of the girl group genre. It was also their only US #1 hit. After "Let's Dance The Screw", the group's next release was the classic "Da Doo Ron Ron". 10.03.11-MusicWire Magazine - The Chantels were the second African-American girl group to have nationwide success in the United States, preceded by The Bobbettes. The group was established in the early 1950s and attended St. Anthony of Padua school in The Bronx. The original five members consisted of Arlene Smith (lead), Sonia Goring, Rene Minus, Jackie Landry Jackson and Lois Harris. They derived their name from that of a rival school, St. Frances de Chantal. The Chantels had a hit with their second single, "Maybe" (#15 Billboard Hot 100; #2 R & B chart) in January 1958. "Maybe" sold over one million copies, and was awarded a gold disc. Eric Marlon Bishop, professionally known as Jamie Foxx, is an American actor, rapper, singer-songwriter, stand-up comedian, and talk radio host. As an actor, his work in the film Ray earned him the Academy Award and BAFTA Award for Best Actor as well as the Golden Globe Award for Best Actor in a musical/comedy. He is also a Grammy Award winning musician, producing three albums which have charted highly on the Billboard 200: Unpredictable, which topped the chart, Best Night of My Life and Intuition.